Who said bad luck comes in threes? ………………………………………………..EQUALS……………………………………..£0 left for Christmas. Oh well. It’s just as well that I had already decided that we would be focusing on the real meaning of Christmas this year anyway! Last night for FHE we watched this video. 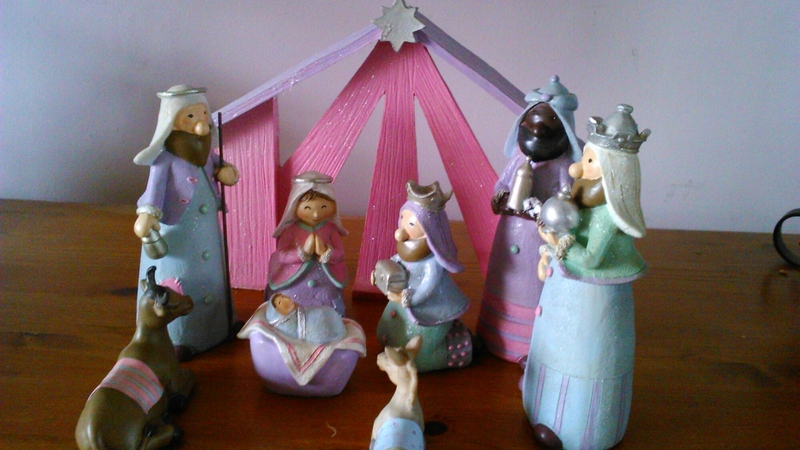 It is a really beautifully made version of the nativity story. We also started a scripture paper chain and are planning to read from these each night. This is what it’s really all about. This is so beautiful. 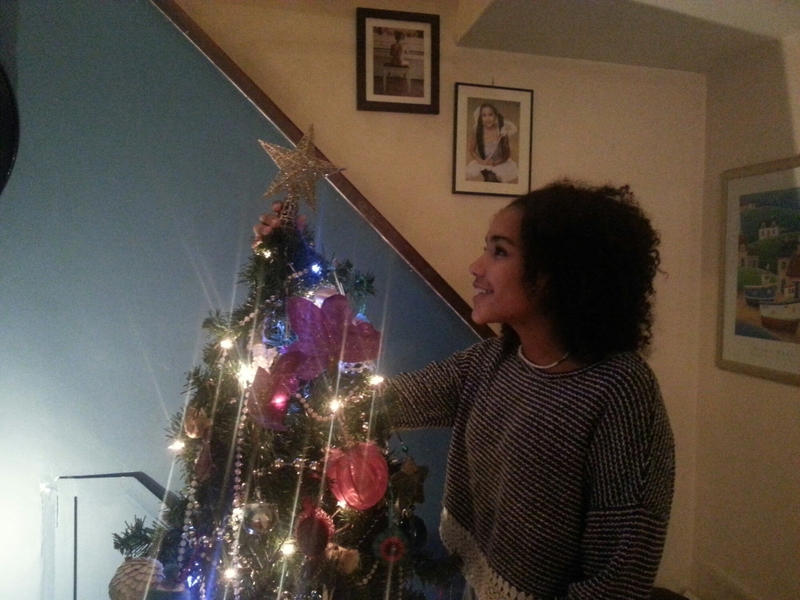 The Christmas tree went up yesterday. I think that’s the earliest we’ve ever started our Christmassey build up but we couldn’t wait any longer! 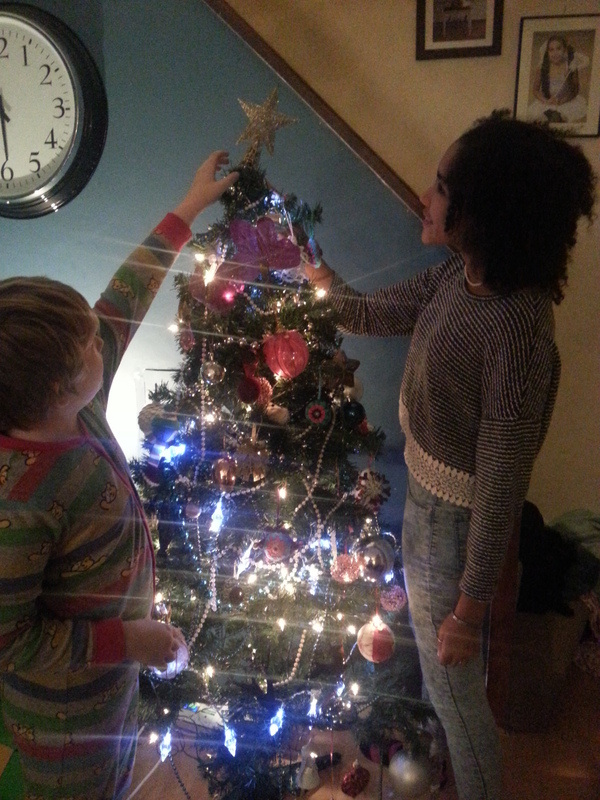 After a rugby tackle, a headlock and a heated discussion it was agreed that it was Lily’s turn to put the star on the tree this year. 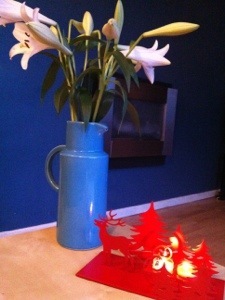 And our decorating theme this year is ‘the more the merrier’. Like it is every year. Otherwise known as ‘throw every decoration we’ve ever owned onto the tree’. And I love it! 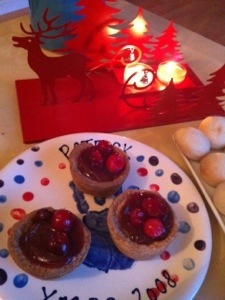 After battling through the hoards at Tesco and collecting Patrick from school (last day of term -yay!) I felt we all needed a little sustenance before the masses if bags to be unpacked and shopping put away. I love this time of year: the cosiness, gathering your family around you, the snugness. Until the sibling arm to arm combat begins, as it always does! I saw this while our shopping, and instantly fell in love with it: the shape, the colour. And it was half price! Had to be done!